sabarimala virtual q booking for 2016 season started through the official website sabarimalaq.com. sabarimala is the most popular south indian pilgrim center and every year lakhs of pilgrims coming here. lord ayyappa temple at shabarimala will start the 2016 season on next month. every year malayalam month ” vrischikam ” will face rush at this temple. kerala police started a virtual q booking system to avoid rush. its’ open for booking for this season, you can check the official website for more details. q system in sabarimala temple is using to control rush. every year lot of pilgrims are using this service. if you are interested to book through sabarimalaq.com, first visit this website through mobile or web browser. around 3000+ police are in sabarimala temple to do service for service of ayyapa devotees. you can search the availability of virtual q through the above site. Virtual Q Helpline numbers are : 0471 3243000, 04713244000, 04713245000. if you have any doubts can call to these numbers and get reply from officials. please check the following steps for booking through sabarimala virtual q booking system. you will get a clear picture of the booking system. you can see the search box in the website, please check below image for the same. there are some fields like No. of Devotees, Visiting Month, Time Slot Preference etc. fill the values and search for the availability. once you fill the values and click for search, it will list the availability and other details. you can see the details like ” Slots available “, ” Slots not available now ” etc. from this page you can click on the date, for example if you are planning to sabarimala temple on 17 november 2018 click on that date. then at right side system will display the time for darshan with book now option. please pick the time and click on book now link. system will now ask for login, if you already registered please enter username and password. 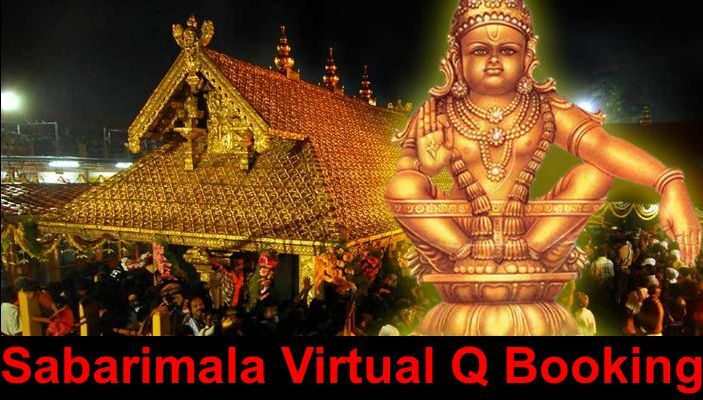 if you are new to sabarimala virtual q site register for an account. after successful login you will get this page, ayyappa devotee need to enter the above details. once these details entered successfully you need to validate your mobile number. one time password will send to the number for validation. after successfully creating the profile you can easily book the virtual q in sabarimala. from my member area ayyappa devotee can download the coupon. you can take print outs from the downloaded coupon. from member area we can more people deatils to the website. for example if you planning to visit with a group one member is is needed to book for all. but we need to enter all devotee details in the website.